Sitting in an overgrown garden in central London, listening to music, singlet straps down, baking in the hot, summer sun, I feel like I’m back home – sitting in my backyard and basking in the Australian sunshine. My imagination starts ticking and I’m suddenly taken back to 5 years ago when I had just moved out of home for the first time and was living with my friend Emily in a lovely, inner-city seaside suburb in Melbourne. Emily and I spent our days watching The Hills box sets, drinking lots of wine, hanging by the beach and talking about boys, eating dinner from cans and Googling things like ‘how to separate colours in the wash’ and ‘how to clean a shower’. I was working in my first grown up job at a finance company and didn’t even notice how mind-numbingly boring it was because I was too excited to be spending all the money I was suddenly earning, on going out and buying pretty new things. 2010. It was an amazing time of my life but all of a sudden, sitting here in this garden in London, I’m struggling to comprehend that it was just 5 years ago. It feels like a completely different lifetime, almost like I’m having some sort of out-of-body experience, looking back on someone else’s life and not my own. I think we always tend to focus on how fast time is flying by and how scary it is that we’re getting older each year, but actually when we sit down and really reflect on where our lives were 3, 5 or even 10 years ago, most of us find that it feels like a completely different life, a different time. Think about it – what were you doing this time 5 years ago? It’s crazy yet so satisfying to think about how much things have changed and I can’t imagine sitting here and reflecting on the past 5 years only to find that life had been pretty stagnant and not much had happened. What if I was still living at home in Melbourne, still going to the same places, eating at the same restaurants, seeing the same people, listening to the same music and working at the same company? It’s so easy to fall into a bit of a life rut and when you’re comfortable and content, it can be bloody hard to shake things up. I know that not everyone wants, or even needs change, some people are really happy just plodding along and enjoying an easy life and that’s completely OK. If we’re honest, those people are probably some of the happiest out there. They don’t know what they’re missing out on and they don’t really mind. But then there’s us travellers. We’re a bit of a different breed. We’re never quite satisfied no matter what we’re doing, always looking for the next adventure, always wanting to find something more. If our lives now were the same as they were 5 years ago, we genuinely couldn’t think of anything worse. We live for that fear of the unknown. Those butterflies we get when life just does a 180 and we think we’re never going to get out on the other side, then we always manage to find ways to make it work and land on our feet. It’s about testing our absolute limits – courage, spontaneity, friendships, will power and sense of adventure. It’s what keeps us on our toes and keeps life interesting. I think a lot of people who move abroad to London are all in search of that little bit extra. We need something more out of life than just comfort, and that’s amazing. We’re all here for different reasons yet we have a certain bond that pulls us together. It’s why a lot of us are drawn to one another too – we understand one another more than others do. We’re going through similar life experiences when living abroad and we want similar things. 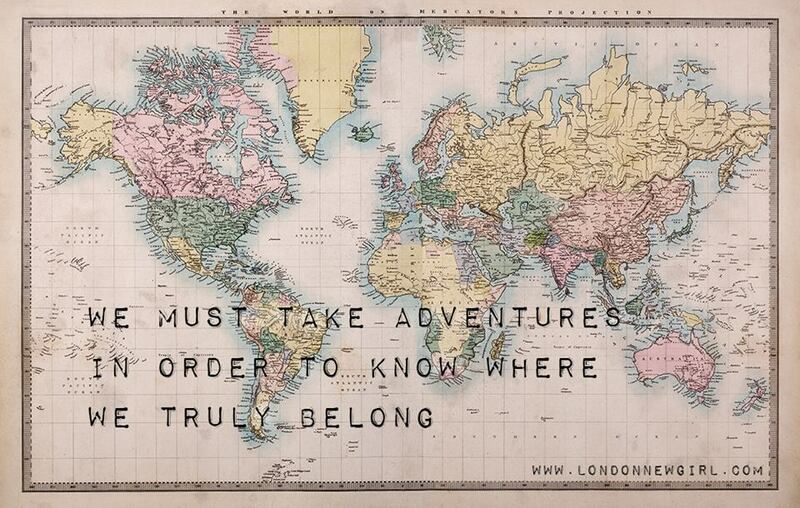 We need adventure. We need excitement. We love a bit of uncertainty and we’re driven by the need to find more, beyond everyday life. Travel drives us, spurs us on. Meeting new people and making new friends becomes second nature. We learn so much about ourselves along the way, whether we mean to or not and that’s the beauty of living an expat life. It’s something not everyone gets to experience so those of us who are lucky enough to do it understand the beauty and heartache of a life abroad. Change is a brilliant thing and we need to embrace it with open arms as no matter how hard it seems at the time, there’s always a lesson on the other side. Sitting under the British sun, thinking about how much life has changed in the last 5 years, there have been a lot of ups and probably even more downs but I can honestly say that I wouldn’t change a thing because it has all brought me to where I am right now. Change can be pretty damn terrifying but where’s the fun in a steady and content life? Life is about passion, excitement and adventure, and I don’t think we should settle for anything less. I’d love to hear your stories. Where were you 5 years ago and where do you want to be 5 years from now? Does change excite you or terrify you? Wow amazing. I’d love to hear more about trying to settle back into life in Melbourne – you should drop me an email some time ? amusing momments in london i wish once is this life i happen to get opportunity to be in london experience this wonderful times there,fantastic job, ASHLEIGH. Hey Kamila, Just stumbled across your website, i’m about to make the move to London myself and these pieces are helping so much! This article is exactly what I needed to read, I too, am feeling restless and lost – hence the move to London! Where was that beautiful mountain picture taken? 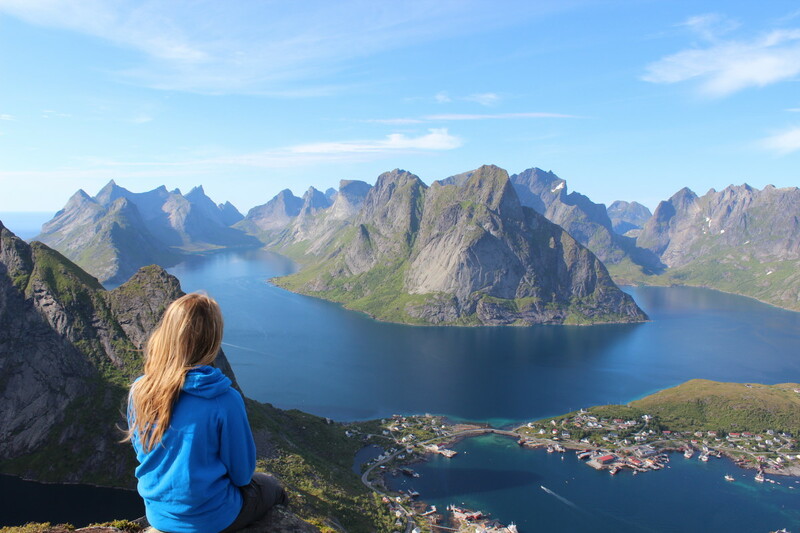 It really grabbed my attention as I love hiking to the highest peaks and taking in the view – makes you realise just how small your problems are in this beautiful world! Look forward to reading the rest of the articles, I have this website bookmarked thats for sure! Thanks, Ashleigh. Hi Kamila, i only just discovered your blog . Its fantastic – just what i needed to read on New Years Eve after ages of wondering why im so restless and lost the whole time . Your thoughts struck such a cord and remind me of EXACTLY what i want to do in 2016 … fulfill that dream and move to London . Keep up the great work , and thanks. Amazing to hear 🙂 If it’s been a dream of yours then it’s definitely worth pursuing or else you’ll always be left wondering what would have been. That was always a fear of mine, getting older, settling down into life and always regretting not trying something I’d always wanted to do just because it felt too scary or because there was never a good time. Fantastic article. You made me think about so many things. I have the opportunity to study in London. It is amazing place. But things are changed now. I am working and these great times are just a memory. Thank you for sharing your post. Greets! It’s amazing how much your life can change in 5 years! I was at the start of a long-term relationship (that ended) and was the catalyst of me moving abroad! Great post! Can you please let me know where the photo overlooking the mountains was taken? Looks amazing!